During the National Honor Society inductions held Friday a handful of candles were lit. Each represents the core values of the organization. 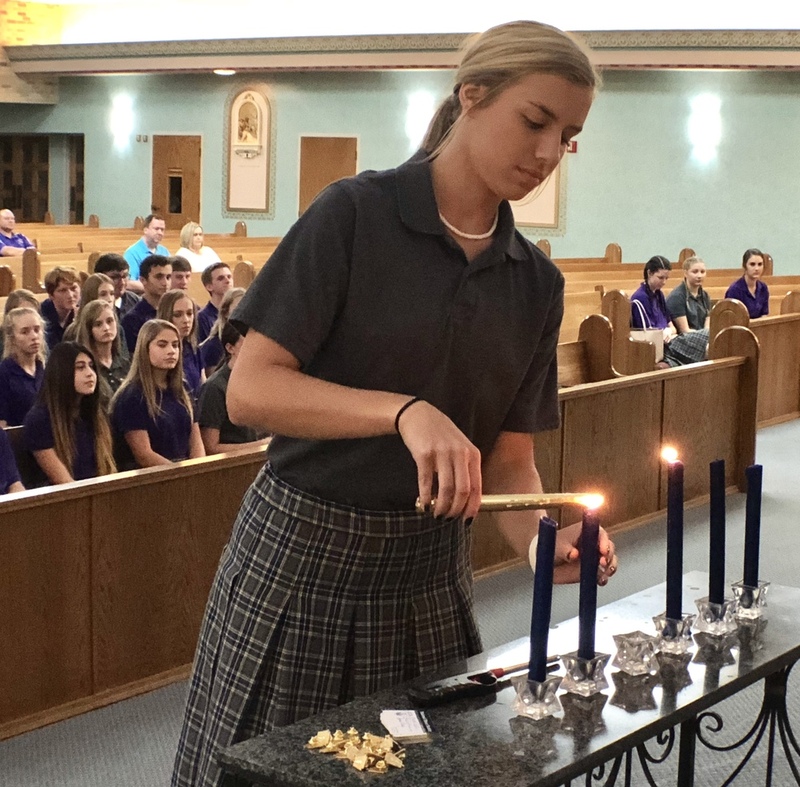 Senior Mattie Elsinger is seen here lighting the one representing service. In this regard, the Honor Society states "Willingness to work for the benefit of those in need, without monetary compensation or recognition, is the quality we seek in our membership. We are committed to the idea of volunteering our time and abilities to the creation of a better tomorrow."